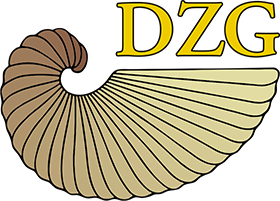 Phylogenetic Symposium 2019 - Deutsche Zoologische Gesellschaft e.V. the 61st Phylogenetic Symposium with the topic “Reticulate Evolution” will take place at the University of Göttingen from November 22-24, 2019. Ever since Darwin’s theory of evolution suggested a common ancestry of all life on earth phylogenetic trees have been used to visualize its relationships. However, evolutionary histories cannot always be adequately represented as bifurcating phylogenetic trees. Prime example is the symbiogenic origin of eukaryotes from the merger of an archaean and a bacterium. Besides symbiogenesis, other processes such as horizontal gene transfer, hybridization, divergence with gene flow result in reticulation of phylogenetic trees, the origination of lineages through complete or partial merging of two or more ancestor lineages. Reticulate evolution is well documented across the tree of life, including many examples from plants and animals. We are looking forward to bring together experts from different backgrounds to summarize recent progress in the field of reticulate evolution.